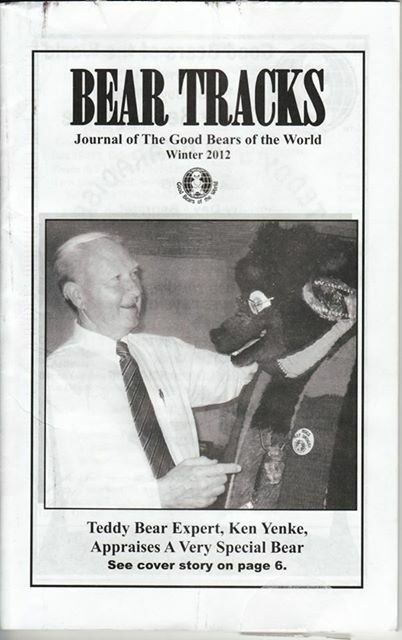 Getting a big bear hug from Waldorf, Ken graces the Winter Bear Tracks 2012 cover. 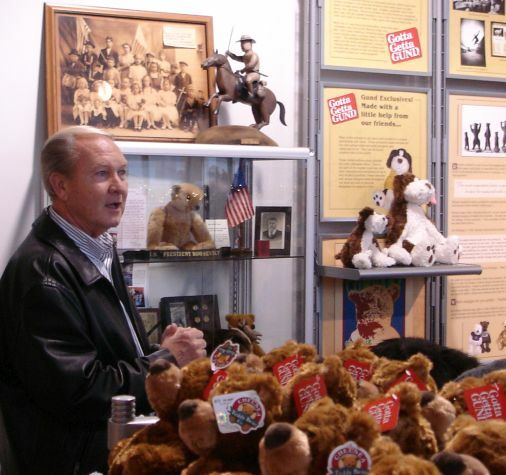 Sharing his extensive bear collection with the public, he became the curator of the Chelsea Teddy Bear Factory. "He followed me and my girlfriend home from a dance. She knew his family. 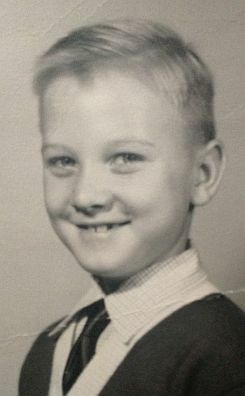 Ken was so cute! We attended different schools but he would called me and came by to visit often; my mom and dad liked him too! When he joined the Air Force, I was sad to see him leave, but he managed many trips to see me. 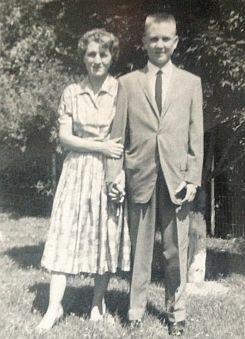 We were married in 1965, and as they say, the rest is history!" said Brenda. 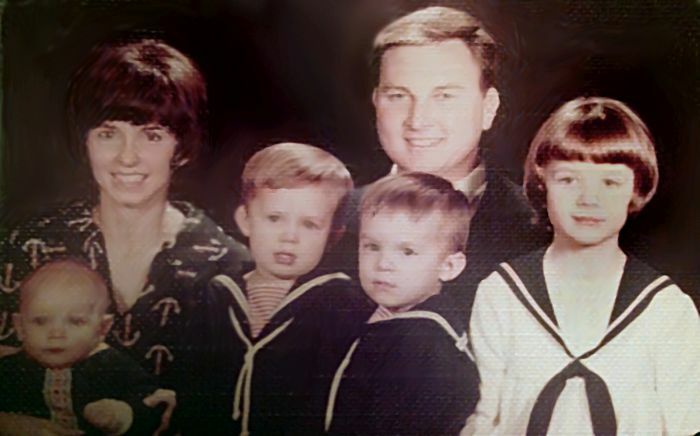 Ken and Brenda had been married for 48 years and they have five children. 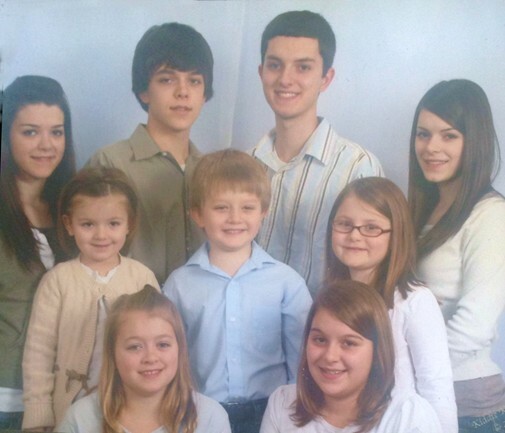 He had 5 siblings, relatives and hundred's of friends. Ken with his family at the new house in Mt. Washington. 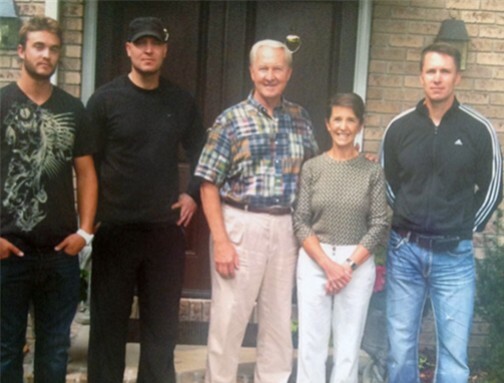 Kyle, Craig, Ken, Brenda, Brian. (Barry is taking the picture). 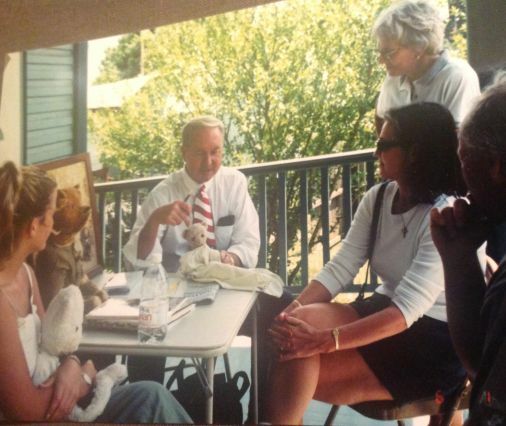 Happy memories of Ken appraising teddy bears! 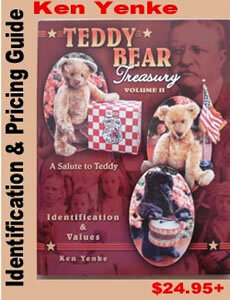 Collectors would bring their beloved old bears to a teddy bear show and Ken offered appraisals. You can see the excitement and joy in Ken's eyes when he would "met" a bear he had only read about but perhaps had never seen. 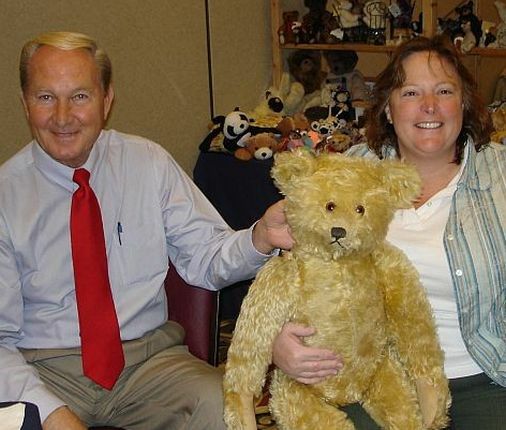 He always generously donated his appraisal fees to Good Bears of the World Bear Bank. Ken loved sharing his bear and toy treasures with everyone! 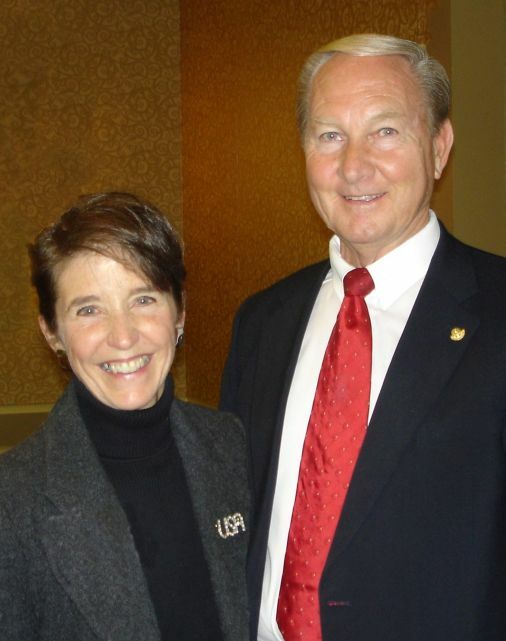 Ken and Brenda often spoke at many events and were the Teddy Bear Jubilee Keynote Speakers in 2012. Sharing Christmas cheer at the Ann Arbor Teddy Bear Show. 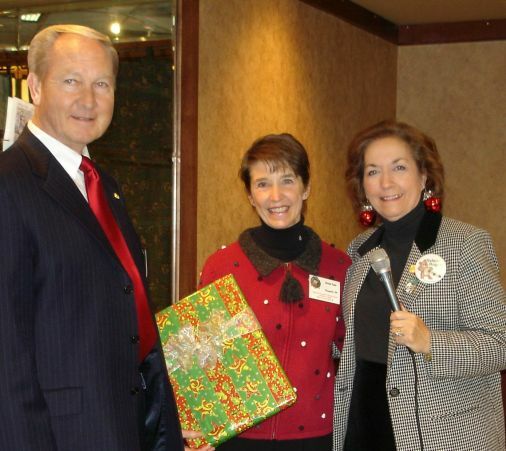 Ken Yenke, Valerie Rogers and Terry Michaud. More About Ken's Life . . .
Often we know people during a portion of their life spans, for just for a few years but seldom talk about our past. 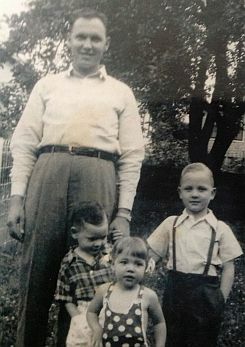 Ken whole-heartedly took on many tasks that inspired his curiosity and gained him recognition as a loving husband, father, provider and he had a sharp memory and instant recall for his teddy bear collecting and appraising passion. Ken was born in Cincinnati, Ohio and he lived in Indianapolis, Indiana, then Blue Bell, Pennsylvania before moving to Strongsville, Ohio in 1975. 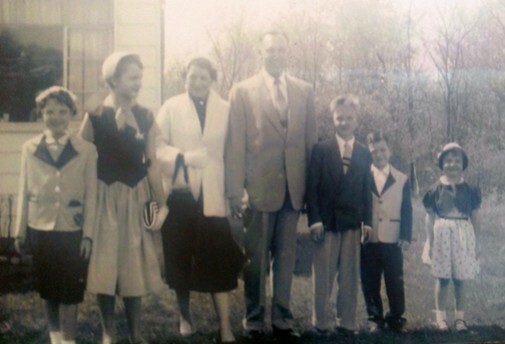 Ken's family - he always dressed to the hilt back then! 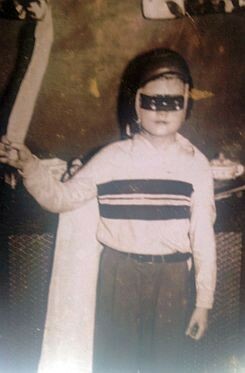 Ken dressed as a Super Hero. 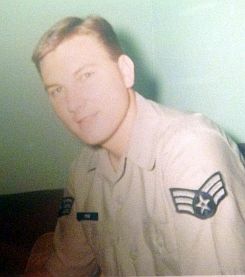 Ken entered in 1963 right after high school, both his parents were deceased, and served in the United States Air Force during Vietnam. He married Brenda in 1965. 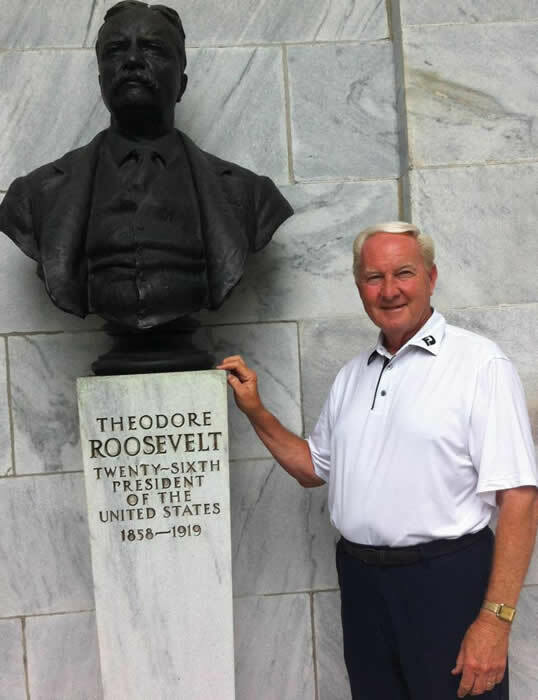 Following his discharge in 1967, he began working with Remington Rand in sales and attended Butler University in Indianapolis for a few years while managing the sales force. He was encouraged by the home office of Sperry Rand because they knew his potential. In 1973, he was called from the home office of Sperry Rand and moved to Blue Bell, Pennsylvania to become the world-wide product manager. Ken specialized in the SR101 typewriter and launched the program throughout the world producing training tapes and traveling extensively. 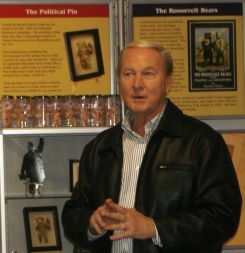 Being very successful in Cincinnati gave him the opportunity to manage the sales force with Remington in Indianapolis. 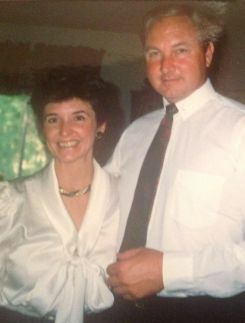 Two years later he took over the Remington franchise in Middleburg Heights, Ohio which he ran until it merged with ACS in 1986. Following that he later worked for Ohio Calculating. In 2000 he began working for Sun News in advertising sales. It was at that time that Ken began writing his column, The Yenke Peddler, imparting his knowledge of antiques. In 2009 Ken's career started at The Plain Dealer Newspaper, continuing his executive advertising position. NEOMG was his last employer. is that a "little Ken" we see in the blue shirt? 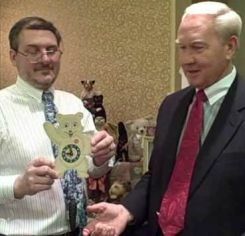 Ken authored three teddy bear resource books and was also a columnist for Teddy Bear & Friends Magazine and contributing writer and bear appraiser for Bears&Buds, the online teddy bear magazine. 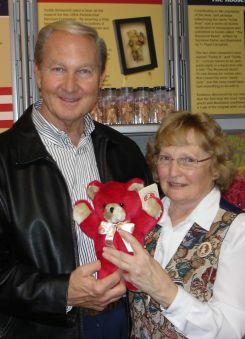 He was awarded the Theodore Society Ambassador Award by Teddy Bear Review Magazine. 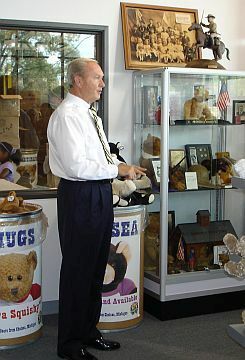 The love of antique toys, especially teddy bears led to the establishment of a permanent collection at the Chelsea Teddy Bear Toy Museum - Bear Factory in Chelsea, Michigan where Ken enjoyed giving tours of his collection and sharing his extensive knowledge of the history of teddy bears. In his spare time Ken was an avid golfer and a baseball fan. Ken was laid to rest at Sunset Memorial Park on Monday March 24, 2014. North Olmsted, OH (Cleveland area). 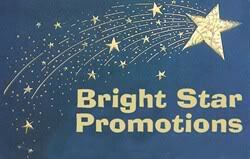 "God's heaven has a big bright star now, shining for all of us to see, to wish on and to guide us." 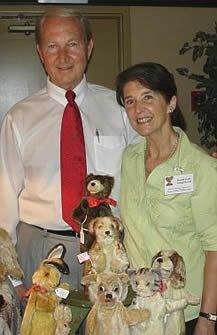 Ken will be remembered and missed by teddy bear enthusiasts for giving his love and commitment to the preservation of teddy bear history. his children, grand children and family.